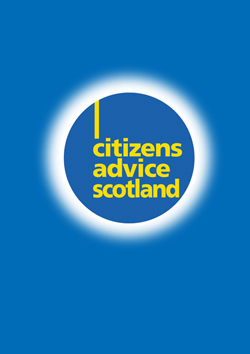 Thousands of people in Scotland are being forced to rely on charities for food handouts, according to new evidence from Citizens Advice Scotland (CAS). The report published today (Tuesday) shows that the numbers of Scottish CAB clients who have made a charitable application has doubled over the last 2 years to 2,200. Charities who provide emergency food parcels have themselves reported significant increases in clients. e.g. the Trussell Trust alone gave out food parcels to over 128,000 people (UK-wide) in 2011/12 – that’s more than double the number in the previous year. Most of those who need these services are low-income families who are experiencing some sort of crisis point, whether it is unemployment or losing benefit entitlement. Evidence suggests that the impact of the welfare changes will make the situation even worse over the next few years. “The report reveals a Dickensian situation facing many of Scotland’s low paid workers and people who rely on welfare benefits. “Charities like the Salvation Army and St Vincent de Paul have always been there to provide practical assistance for families facing a crisis who temporarily could not feed themselves. In this recession, there has been an exponential increase in the number of working families and people on benefits who are needing help to feed their children and themselves. “The National Minimum Wage has failed to keep pace with the massive increase in food prices over the last 5 years leaving many low income families facing food insecurity. The fact that 50% of those getting food parcels are working is shocking. “The fact that the remaining 50% who rely on food parcels do so because their benefit payments are delayed or because of changes to their benefits entitlement is both avoidable and disgraceful. To view the report click on the link below. For more information, or to arrange CAS interviews, please contact Tony Hutson on 0131 550 1010 or 07774 751655.